Find everything you need for your Christmas and winter designs right here in one convenient location. Stock up on Christmas beads, charms, and pendants as well as snowflakes and snowmen! The TierraCast Opulence collection creates a regal statement in this necklace and earrings set. The golden items from the collection are paired with Czech glass beads in rich red tones, along with Teacup beads and TOHO Demi Rounds in complementary gold hues. Cynthia made this set during a Facebook Live design challenge. You can watch her make these pieces and other pieces here. Gemstones are perfect for adding just a hint of something special to simple yet chic jewelry pieces. This necklace and earrings set features faceted coin beads from Dakota Stones. They add the perfect touch of dangling shine to each piece. These designs feature Labradorite and blue lace agate for a wintery look, but you can switch up the colors to suit any season. Faceted gemstone coin beads from Dakota Stones add a subtle glitter to this sophisticated multi-strand bracelet design. Red garnet and peach moonstone beads are used together for a look that fits into any season. Use this bracelet with cozy colors for fall, let it remind you of holiday cheer in winter, try it with a splash of blue in summer, or keep it lush with hints of green in spring. Fun textures and colors combine in this jewelry set. The Golem Design Studio pendant at the center of the necklace inspired the fun color palette, filled with wood beads, Czech glass, TierraCast, Anna Bronze, and Vintaj components. Becky challenged Cynthia on Facebook Live with these components to make a piece of jewelry and Cynthia created this set. You can watch Cynthia make this set and more here. Christmas is a wonderful time of year to start making handmade jewelry for you and your loved ones. This quick bracelet project will certainly put you in the Christmas spirit. Choose other favorite Christmas charms to make endless variations on this stylish look. We love the TierraCast gingerbread man Cheri chose for her piece. Celebrate festive style with the TierraCast antique silver-plated pewter Christmas charm set. This assortment includes a gingerbread man, Santa Claus, a wreath, bells, a candy cane, a snowman, a Christmas tree and a nutcracker for a total of eight charms. They feature designs on both the front and back, so they will look good from every angle. Pair them with red and green colors for a cheerful look. You can use them in one design or make multiple looks with these charms. TierraCast charms and Swarovski beads create a merry combination in this charm bracelet. Katie added Swarovski bead dangles of all sizes between each charm to create a Christmas look that will warm your heart and spark your creativity. Our Cotton Candy Bracelet inspired her to create this look. Choose your own charms and beads to make your own version of this look! Ring in joyful times by creating new looks with this antique silver-plated pewter Christmas bells charm. This thin charm from TierraCast features two ringing bells tied together by a delightful bow. Every inch of this silver-plated piece is intricately detailed in dark etchings to create a lovely vintage feel. Create holiday jewelry designs with this piece paired with other Christmas jewelry components in a variety of different color combinations, since its silver plating will go well with any pattern or palette. Create a holly jolly jewelry design with this TierraCast antique silver-plated pewter St. Nick charm. This two-sided charm features a front and back display of Father Christmas, detailed in a vintage silver polish and dark etched lines. Use this charm in a bracelet with other Christmas charms and beads in a variety of different colors, since the silver finish will complement any pattern nicely. Be sure to check out our entire collection of lead-free pewter jewelry components so you can design safe jewelry all year long. Warm up wintery looks with this antique silver-plated pewter Frosty the Snowman charm. This two-sided charm from TierraCast features a front detailing a smiling snowman face, complete with a carrot nose and detailed scarf. The back has a simple snowman outline, bringing more dimension to this simple design. Use this darling charm in any type of jewelry design paired with your favorite colors, since its silver plating will go so well with anything. Create vintage winter looks when you use this lead-free piece. With its vintage silver coloring and intricate detail, this antique silver-plated pewter Christmas tree charm from TierraCast makes a great addition to any holiday idea. This thin charm features a traditional tree shape and is detailed with small silver granulations along the center surface to represent ornaments, complete with a top stringing hole. Use this component in a bracelet, necklace or earring design paired with any color combination, since the silver plating will complement any pattern nicely. Create holiday jewelry designs with this piece paired with other Christmas jewelry components to give as gifts this season. Catch him if you can. Get this antique silver-plated pewter gingerbread man charm from TierraCast and use him in your next jewelry design. This thin, simple charm is shaped into a traditional gingerbread man design, complete with three buttons and a smiling face. Its antique silver plating is detailed with tiny dark lines to create more dimension and bring a fun, vintage feel to your looks. Use this charm in a holiday bracelet paired with your favorite colors, since the silver plating will go well with anything. Be sure to check out our entire collection of lead-free pewter jewelry components so you can design all year long. Bring good tidings of comfort and joy to every jewelry design with this TierraCast antique silver-plated pewter wreath charm. This thin holiday charm features two sides so you can easily display in a bracelet, necklace or even earrings. Every inch of its small surface is detailed with dark lines that display the holly leaves and berries that comprise the textured wreath, complete with a darling bow at the top near the stringing hole. Use this charm with holiday colors to create a fun gift for someone special. Be sure to check out our entire collection of lead-free pewter jewelry components so you can design all year long. Be festive with your style using the TierraCast antique silver-plated pewter candy cane charm. This charm is shaped like a candy cane decorated with a sprig of holly. The detail of this charm is featured on both sides. A small loop is attached to the top of the candy cane, so you can easily add it to designs. It would look wonderful in earrings or on a charm bracelet. It's a great option for the Christmas season. This charm features a versatile silver shine that will work anywhere. Celebrate holiday style with the TierraCast antique silver-plated pewter nutcracker charm. This charm is shaped like a nutcracker. The nutcracker stands tall and proud, full of traditional holiday style. This three-dimensional charm features a small loop at the top, so you can easily add it to designs. Use it in earrings or in a charm bracelet. It's a great addition to any Christmas design. This charm features a versatile silver shine that will work anywhere. The holidays are the perfect time to add sparkle to your everyday wardrobe. Our designers came up with these fabulous earrings to spice up your style for a festive season or any time of the year. Choose the pair that suits your style best or make all three! Celebrate a joyful season with the TierraCast antique silver-plated pewter peace star charm. This charm is shaped like a star and the words "Peace on Earth" are engraved into the surface. Tiny stars surround the phrase. This design is featured on both sides of the charm. The stringing hole at the top of the charm makes it easy to add to designs. This charm is perfect for holiday designs. Try it in an earring design along with clear crystal. 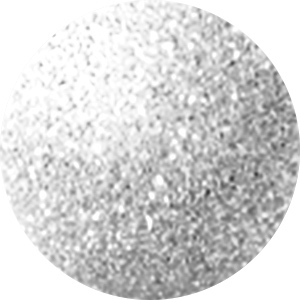 This charm displays a bright silver shine, perfect for using with any color palette. Add a symbol of peace to your designs with the TierraCast antique silver-plated pewter peace dove charm. This charm is shaped like a dove in flight, with an olive branch in his beak. Both the olive branch and the dove are symbols of peace. This design is featured on both sides. A stringing hole is attached to the tip of the dove's wing, so this charm will hang nicely from designs. Try using this charm in holiday designs to create a message of peace on earth. This charm features a shining silver color, which will work with a wide variety of color palettes. Put a wintery feel in your designs with the TierraCast snowflake charm. This charm is circular in shape and features a snowflake decorating the center. A small loop at the top of the charm makes it easy to add to designs. Showcase this charm in necklaces and bracelets. It's a great option for holiday jewelry designs. It features a versatile silver shine that will complement any color palette.